Oluade said that the LG is the closest to the people and it was necessary for Lagos residents to complement the governor’s achievements by voting APC. A Lagos lawmaker, Segun Olulade on Thursday said that Gov. Akinwunmi Ambode had surpassed the expectations of many with his achievements so far in the state. Olulade, All Progressives Congress (APC) member representing Epe II in the Lagos State House of Assembly, gave the assessment in a statement in Ikeja, ahead of Saturday’s council polls in the state. He said that the local government is the closest to the people and it was necessary for Lagos residents to complement the governor’s achievements by ensuring that candidates fielded by his party in the council polls come out victorious. The News Agency of Nigeria (NAN) reports that the Lagos State Independent Electoral Commission (LASIEC) has fixed July 22 for chairmanship and councillorship elections into the 20 Local Government Areas and 37 Local Council Development Areas (LCDAs). Olulade said: “The best way for every Lagosian to show appreciation to Ambode for what he has been able to achieve in the last two years is to vote for all the APC candidates on Saturday. “What the state has witnessed under the administration of Ambode within a very short period of time is incomprehensible. “A lot of people never expected and believed that Ambode will take Lagos State to where it is right now. 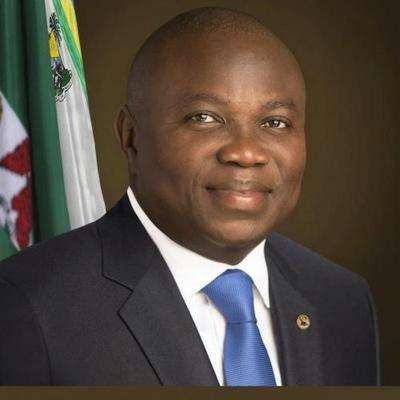 The lawmaker, who is the Chairman, House Committee on Health Services, said some opposition members, thrilled by Ambode’s achievements, withdrew from contesting in Eredo LCDA and Ikosi Ejinrin LCDA to honour the governor and his wife, Mrs Abimbola Ambode. Olulade assured the people that candidates of APC would complement Ambode’s achievements if they emerge victorious at the forthcoming poll. NAN reports that Olulade, on Thursday, also celebrated his birthday with children at Home of God’s Grace Orphanage in Agbowa area of the state.